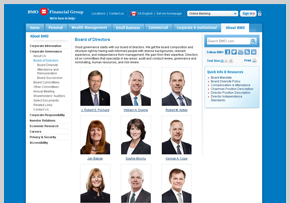 Why is the Bank of Montreal Attacking Christians? 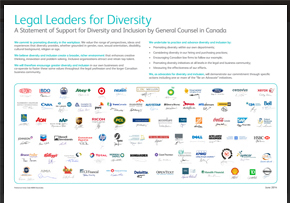 Canada’s Charter of Rights and Freedoms begins by stating “Whereas Canada is founded upon principles that recognize the supremacy of God and the rule of law:” The Bank of Montreal has decided to turn its back on these principles with a campaign against Christians. 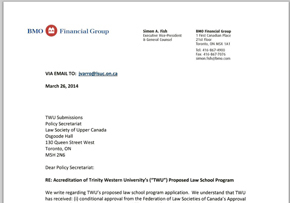 BMO’s opening salvo was to attack the Christian standards of Trinity Western University. 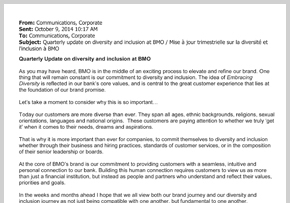 BMO has now expanded their war by attacking Christian legal suppliers doing business with the bank. 3. 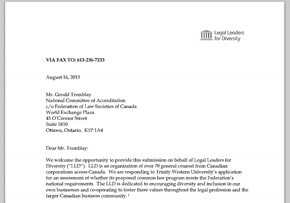 Donate to the Institute for Canadian Values campaign to stop discrimination. If not you, then who? If not now, when? May God Bless You as You Act. 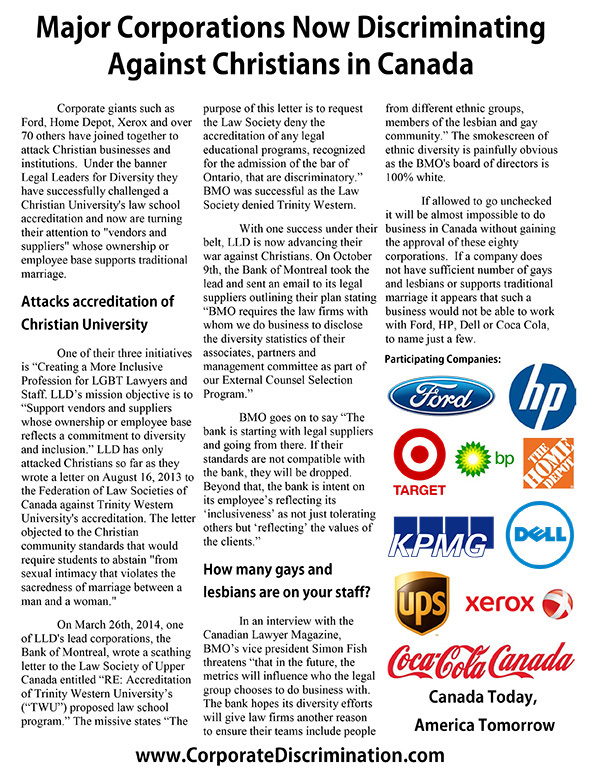 Institute for Canadian Values today!